Noticing some changes? We're transforming this year. More to come! Help! The Fabrics Ate My Shirt! Well, because you fed it. It’s a toughie, right? You want to put on a T-shirt with sleeves for armpit-catching drops, but you don’t want to wind up dangling by a knot on your back. What to do, what to do? Fear not, friend – you’ve got options." This blog post from Laura Witwer of SassyPants NY is spot on! Check out the full blog here! IFG Student of the Week, Ro: "﻿I found it fascinating!" How did you get into aerial? I discovered aerial while traveling. Ladies would be hanging from the trees in parks, just doing their thing. I found it fascinating! What do you love about aerial? I love how I feel after an aerial class... Full of energy!! There is something to be said about hanging upside down. It also allows me to open up my body and be free! Thoughts during and after class? Iowa Fly Girl Flowy Racerback Tank Tops! 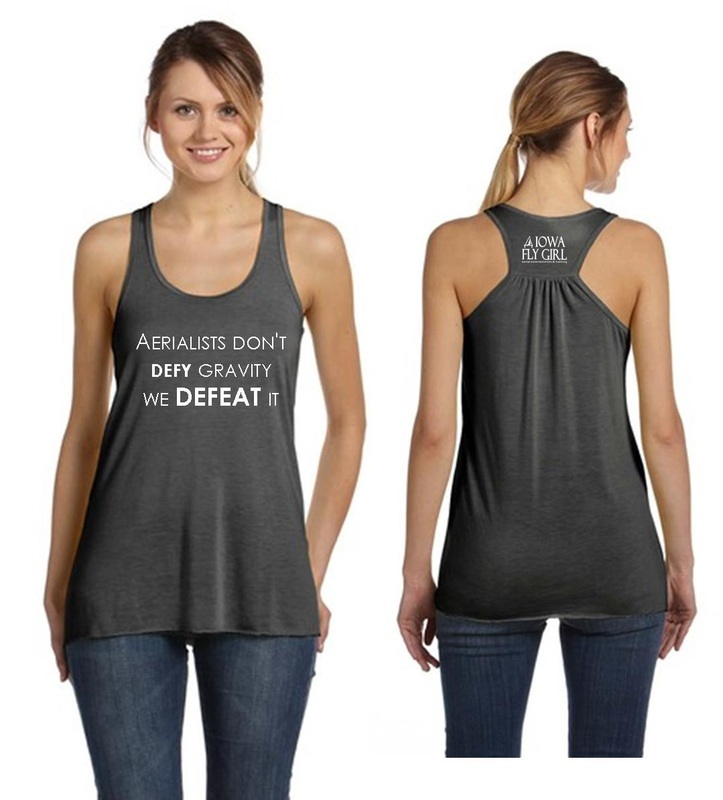 Iowa Fly Girl tank tops are here! Pre-order yours today and guarantee you get your size. Quantities are limited. Free local pick-up. You will receive an email when your tank is ready! 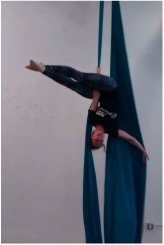 IFG Student of the Week, Jill: "﻿It﻿ keeps me off the streets"
What is your favorite apparatus/class? How long have you been doing aerial? IFG Student of the Week, Krystal: "I love how supportive the community is"
Um, it's super fun. And challenging. And therapy. And this sounds cheesy, but I love how supportive the community is. My classmates are excited for me when I nail a move and vice versa. It's not about competition or out-doing anyone, it's about encouragement and support. And that is really cool. What were your thoughts during/after your first class? IFG Student of the Week, Jenny: "I thought I was going into cardiac arrest. " A LONG time... Like 2.5 years. Once in awhile there is something I can manage to do without throwing up, or looking like I’m about to die; that makes it worth it. IFG Student of the Week, Christa: "Why thank you, I'm quite fond of my biceps. Would you like to feel them?" I have a really difficult time picking a favorite apparatus. Right now, I feel most comfortable on the hammock, but I really want to build my strength and endurance so that I can do more exciting stuff on the silks. My favorite class is definitely All Aerial, because I get to play on ALL THE THINGS. The sense of personal accomplishment. I've been doing yoga and weight lifting for years, but aerial has given me the most visible and dramatic progress in terms of what my body can do. I am not naturally athletic; I basically didn't do any kind of exercise until I was halfway through my 20s. I couldn't even wrap my foot successfully for a climb when I started out, let alone haul myself up 20 feet in the air. It's kind of amazing in my mid-30s to be able to see myself getting stronger and more awesome every time I come to class. 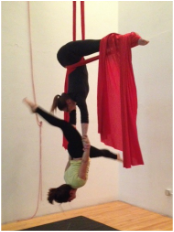 Want to Get Hired as a Professional Aerialist? 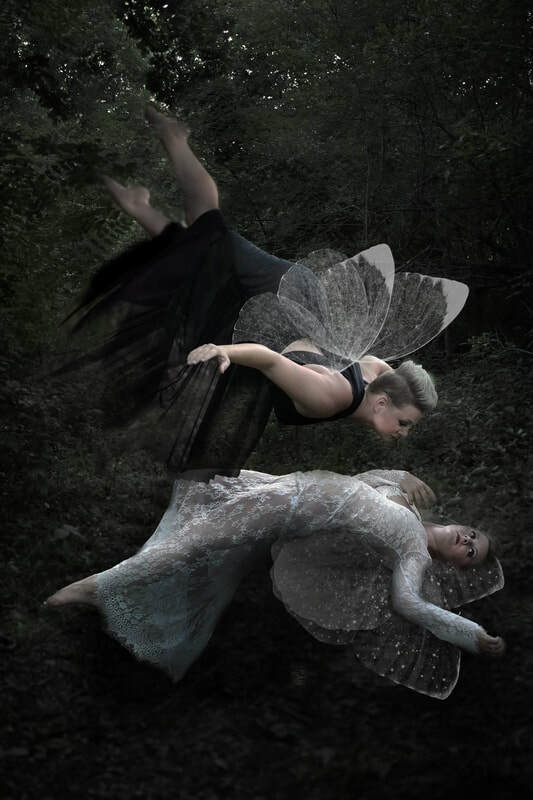 Thinking about putting those aerial skills you've been learning in class on a stage? Think being a fabulous performer is all it takes? You may be an amazing performer, but remember these tips.